With a sick list of affiliations, endorsements, and clients, Brooklyn-based MICK is easily one of the most in-demand DJs performing high-profile global events. 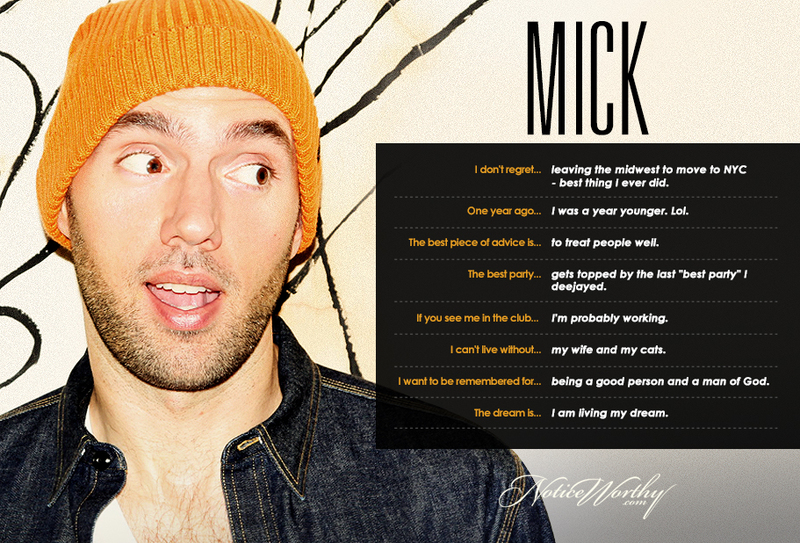 Regularly spinning for A-list celebrities and top fashion, media, and tech brands, MICK has the cool factor other DJs dream of. Let's just say he has the international party scene on lock.